Effective perimenopause treatment needs to address PMS-like symptoms as well as depression, hot flashes, and more. These three natural perimenopause therapies do just that. 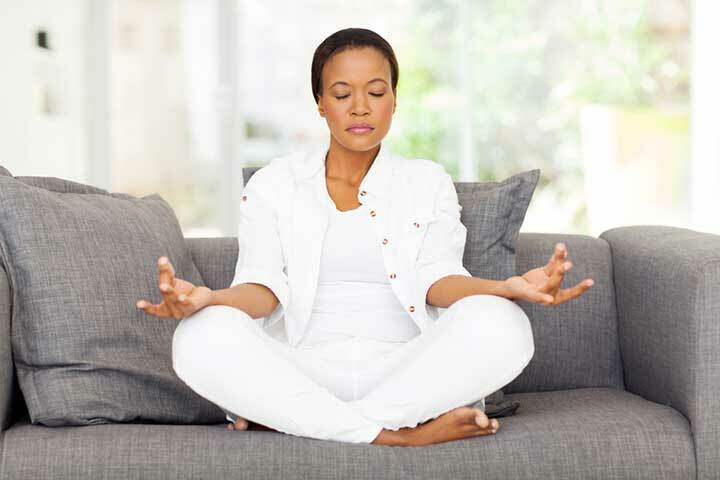 Mind/body therapies, including meditation, mindfulness-based stress reduction, hypnosis, and yoga, decrease symptoms and improve quality of life in perimenopausal women. Perimenopause can last for years and the unpredictable symptoms—ranging from PMS to hot flashes— can greatly diminish a woman’s quality of life. Part one of this two-part article discussed the wide variety of symptoms that can happen in perimenopause. Now, in part two, you will learn about perimenopause treatment using three of the best-researched and most effective natural therapies. Chaste tree berry (the botanical name is Vitex agnus-castus) plays a dual role as a natural perimenopause treatment because it treats both PMS and vasomotor symptoms (hot flashes/night sweats). Traditionally, chaste tree berry was used almost exclusively for PMS and other disorders in reproductive-aged women, and it is arguably the most effective herbal treatment for PMS available. In a recent review, five of six studies found chaste tree berry extracts to be superior to placebo for treating PMS. It has also been found to be superior to fluoxetine (Prozac) for the treatment of premenstrual dysphoric disorder (a severe form of PMS). In terms of menopause symptoms, chaste tree berry significantly decreases the frequency and severity of hot flashes after eight weeks of treatment compared to placebo. It also leads to statistically significant decreases in night sweats, insomnia, anxiety, depression, and headache compared to the control group. 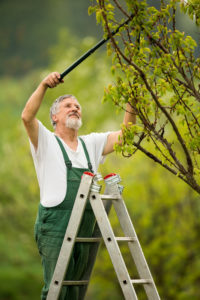 The combination of chaste tree berry and St. John’s Wort may be even more effective than chaste tree berry alone as a perimenopause treatment. This combination was studied in late-perimenopausal women with PMS-like symptoms. Sixteen weeks of the combination was better than placebo and significantly reduced PMS symptom scores, including depression, anxiety, cravings, and bloating. Another study looked at the combination’s effects in late-perimenopausal or postmenopausal women experiencing hot flashes and other menopausal symptoms. It did not perform better than placebo in this study—both the placebo group and the chaste tree berry/St. John’s wort group experienced significant reductions in hot flashes, depression, and other menopause symptoms. I recommend women take 500 to 800 mg of chaste tree berry extract per day. One excellent product is Vitex 750 by Vital Nutrients, containing 750 mg of chaste tree berry extract plus 7.5 mg of chaste tree berry and leaf essential oil. Take one capsule daily. Maca (botanical name: Lepidium meyenii or Lepidium peruvianum), is a plant of the brassica (mustard) family that grows at high altitude in Peru’s central Andes. Its tubers have been used for centuries as a nutritious food and as a natural medicine to treat infertility, low libido, and female hormone imbalances. Only recently has maca become the subject of intense research and has numerous benefits in perimenopausal and menopausal women. A proprietary brand of maca extract, called Maca-GO, was studied in a double-blind, randomized, four-month study in early menopausal women. One gram of Maca-GO twice daily for two months alleviated numerous menopausal symptoms including hot flashes, insomnia, depression, nervousness, and diminished concentration, and also had a small effect on increasing bone density. Although maca contains no plant hormones (it is not a phytoestrogens), it stimulated estrogen production and suppressed follicle stimulating hormone (FSH). Maca’s action in perimenopausal and menopausal women is believed to be linked to a group of sterol-like compounds that stimulate hormonal activity in the ovaries via the pituitary gland and hypothalamus. As a perimenopause treatment, Dr. Hudson typically prescribes Maca-GO at 1 gram twice daily. “The benefits I have seen most frequently in my patients are a remarkable reduction in the number of hot flashes, an overall improvement in mood (less depression and irritability), and increased energy levels,” says Dr. Hudson. I recommend this brand and dose of maca as well. Read more about maca in Maca Benefits: Low Libido in Women and Stress Relief. Mind/body therapies, including meditation, mindfulness-based stress reduction, hypnosis, and yoga, decrease symptoms and improve quality of life in perimenopausal women. Mediation sessions twice weekly for eight weeks that included guided imagery, self-affirmation, and silent reflection reduced hot flashes by 67% and depression scores by nearly 70% in one small study. In a much larger, well-controlled study, mindfulness-based stress reduction sessions once weekly for eight weeks, which included progressive relaxation exercises, meditation, mindful stretching, and education, decreased the bothersomeness of hot flashes by nearly 22% and significantly improved participants’ overall quality of life and sleep quality. Read more in Practicing Mindfulness Treats Depression for Good. Hypnosis is another mind/body therapy that has been shown to greatly reduce hot flash frequency and improve sleep quality. Finally, yoga—the most frequently used mind–body intervention for perimenopause treatment—significantly improves psychological and vasomotor symptoms and is better than exercise for improving cognitive function and memory in perimenopausal women. Is Natural Perimenopause Treatment Right for You? Managing the unpredictable and wide ranging symptoms of perimenopause can be challenging, but the three natural therapies presented here—chaste tree berry, maca, and mind/body therapies—all work through different natural mechanisms to treat the underlying core imbalances of perimenopause. All three natural perimenopause treatment options are safe, non-hormonal ways to regain a sense of ease and vitality during this important time of transition. Chaste tree berry extract is excellent for women with PMS-like perimenopause symptoms, while maca may be a better perimenopause treatment if hot flashes or low energy are major problems. Mind-body therapies like yoga or meditation will likely benefit you and reduce your perimenopause symptoms no matter what they are. This article was originally published in 2015. it has since been updated. J Women’s Health Care 2014;3:5. J Alt Comp Med. 2009 Sept;15(9): 1045-1048. Int J Biomed Sci. 2006 Dec; 2(4):360-374. Integr Med J. Dec 2008/Jan 2009;7(6):54-57. Integr Med Insights. 2014; 9: 17–23. anxiety, anxiety depression, bloating, bone, bone density, brassica, chaste tree berry, cognitive function, depression, depression anxiety, estrogen, exercise, fluoxetine, food, health, hormone, hot flashes, improve sleep, increasing bone density, infertility, insomnia 2, insomnia depression, low energy, low libido, low libido in women, maca, maca benefits, meditation, memory, menopausal, menopause symptoms, mindfulness, mood, natural medicine, natural therapies, nervousness, night sweats, nutrients, perimenopause, perimenopause symptoms, perimenopause treatment, pms, postmenopausal, postmenopausal women, relaxation exercises, sleep, sleep quality, stress, stress reduction, stress relief, symptoms of perimenopause, womens health. Is is safe to take Vitex long term to treat peri menopausal symptoms?